A friend asked me the other day what kitchen tool I most frequently use. I told him that, after my chef's knife, it had to be my cast-iron skillet. He was a little confused, and asked what I used it for other than pancakes and bacon. I told him this: everything. Not only does my cast iron skillet get used for the usual suspects, but also for toasting bread, braising meat, and making deep-dish pizza; I even use it as a bonafide tool, not just as an implement for cooking in. Cast-iron skillets retain heat almost magically, hold in seasoning, and gain flavor over time. They're both durable and affordable; in short, they're a home cook's best friend. 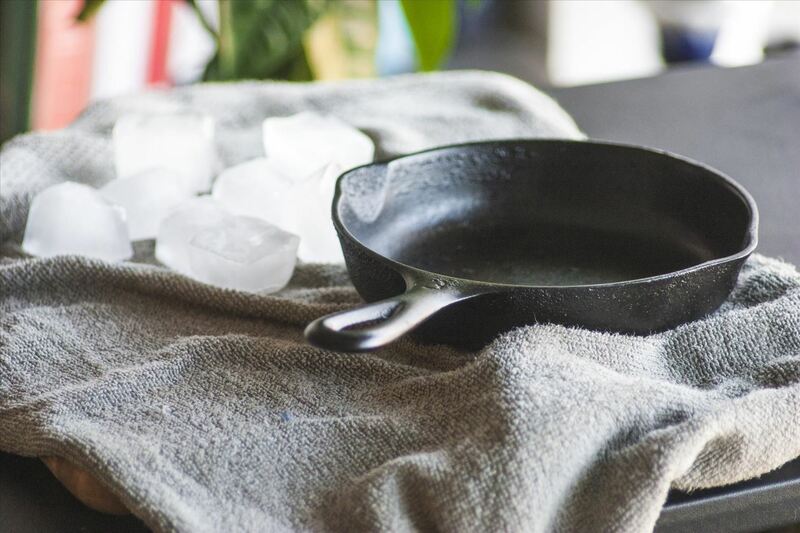 Here are my favorite lesser-known ways for utilizing your cast iron skillet. You don't need an '80s-style electric bar device or a fancy refrigerator to make crushed ice. All you need is a cast-iron skillet and a towel. Wrap the ice up in the towel and place it on a hard surface (but not glass or tile; there's a good chance you'll crack those surfaces). 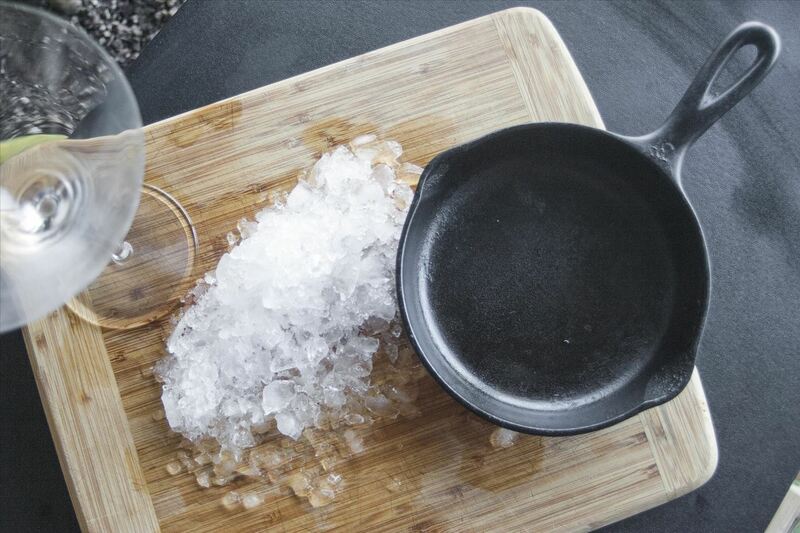 Then take your cast-iron skillet, and play whack-a-mole with the towel-covered ice until you have perfectly crushed ice. Margarita, anyone? Notice a theme here? Cast iron is strong, heavy, and durable, making it the perfect implement for... well... hitting things. To pound out a chicken breast (or tenderize any meat), just place your meat on a cutting board, cover it in plastic wrap or parchment paper (to avoid cross-contamination and sticking), give it a few good thwacks, and enjoy the juicy results. I'm a huge fan of roast chicken, but when I cook a whole bird I don't use a roasting pan; I just use my cast-iron skillet. Because cast iron holds heat so well, it really makes a perfect canvas for a whole bird. 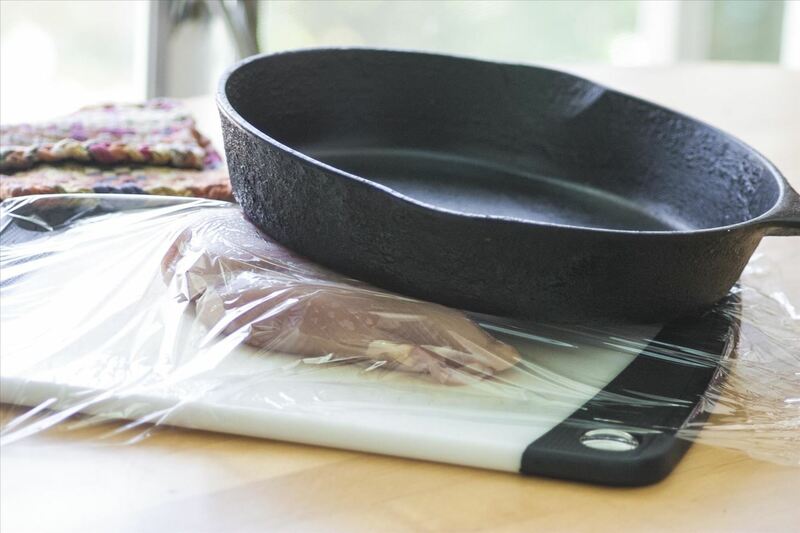 If you want to get a little more gourmet, you can also use a cast-iron skillet in place of a brick for chicken under a brick (because let's face it: you're a lot more likely to have a cast-iron skillet in your kitchen than a brick). There's a misconception that there's something magical about panini presses; there really isn't. You can get the exact same result by cooking a sandwich in a pan, weighing it down with a cast-iron skillet, and flipping the sandwich halfway through. For perfectly crunchy loaves of bread (especially sourdough), you'll want to make a steambath in your oven. The best way to do this is by placing a cast-iron pan near the bottom of the oven, and filling it with hot water. 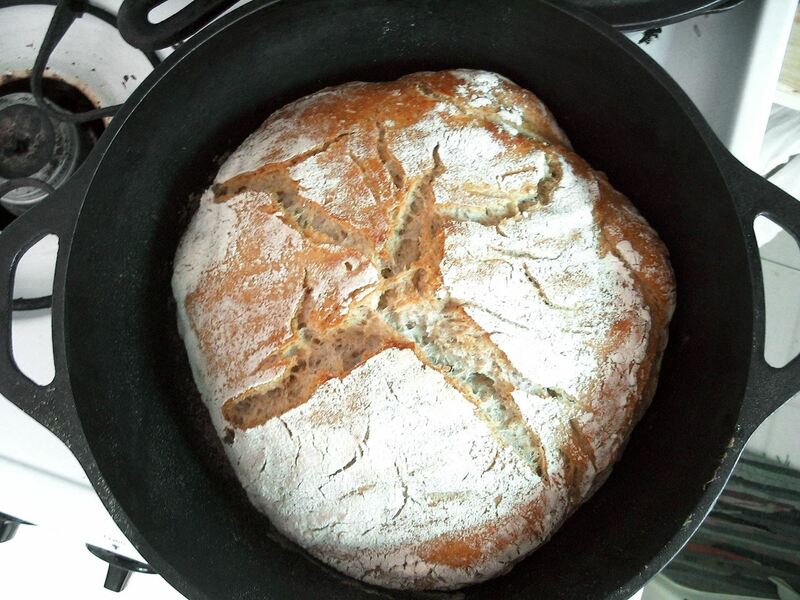 You can also bake bread directly in your cast-iron skillet, which is the perfect substitute for a cloche bread baker. There will never be a better use for a cast-iron skillet than grilling a steak or frying some bacon. But if you start utilizing your cast iron in new ways, you'll find that it's not only the most practical tool in the kitchen, but also the most fun. Do you have any great uses for cast iron? 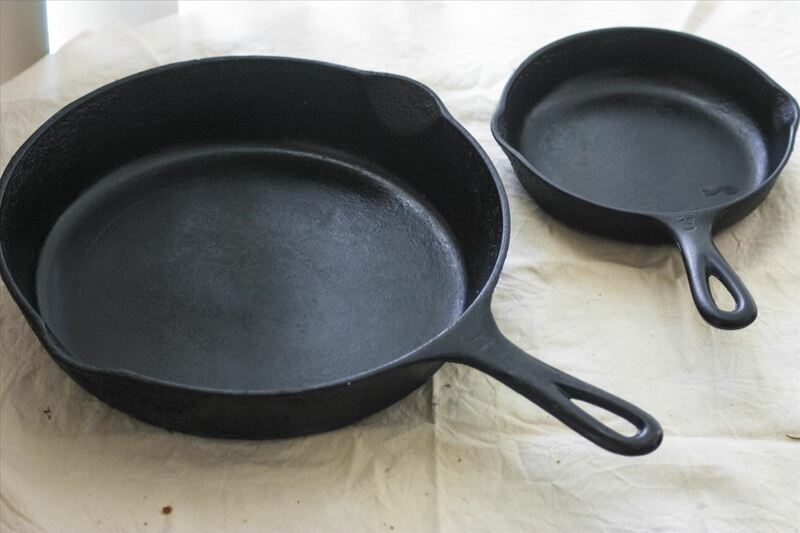 Most people know that cast-iron pans require special care. 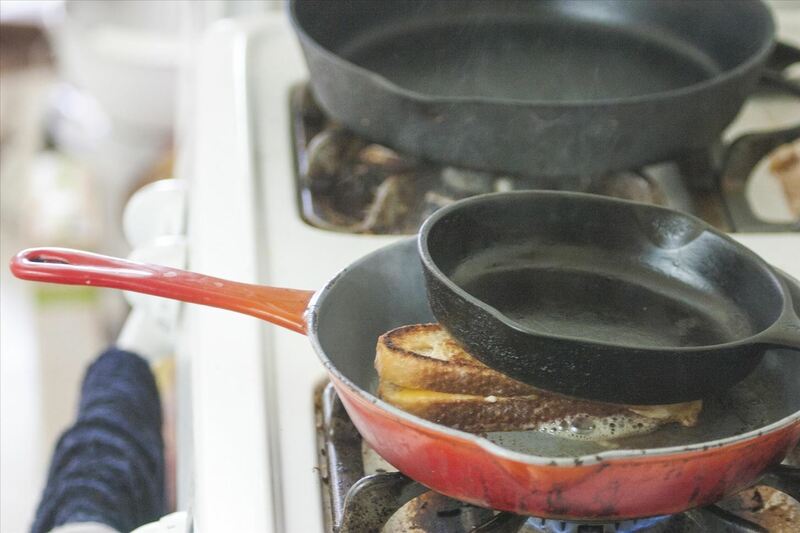 However, there is a school of thought that says you don't have to formally season your pan, and many people prefer vintage cast iron over modern incarnations.